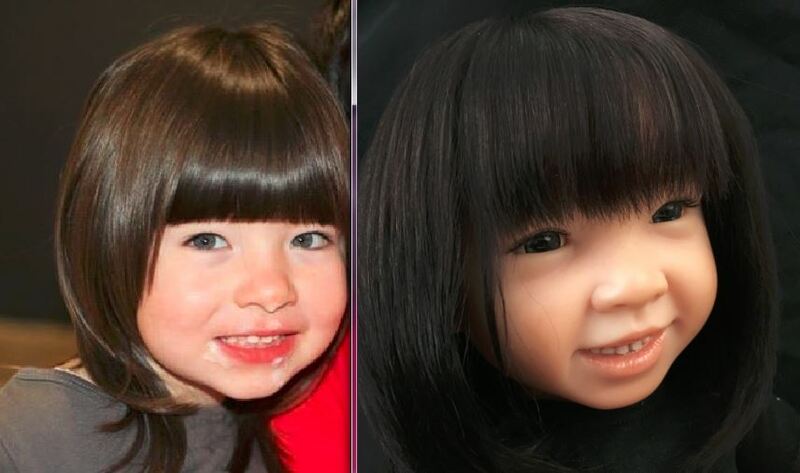 I'm not currently accepting orders for Portrait Lifelike Reborn Dolls, but I am accepting orders for CustomKid's Play Dolls. Get a free Quote Today! Babies grow up so fast! Portrait Dolls are a wonderful way to remember them as they were when they were little. 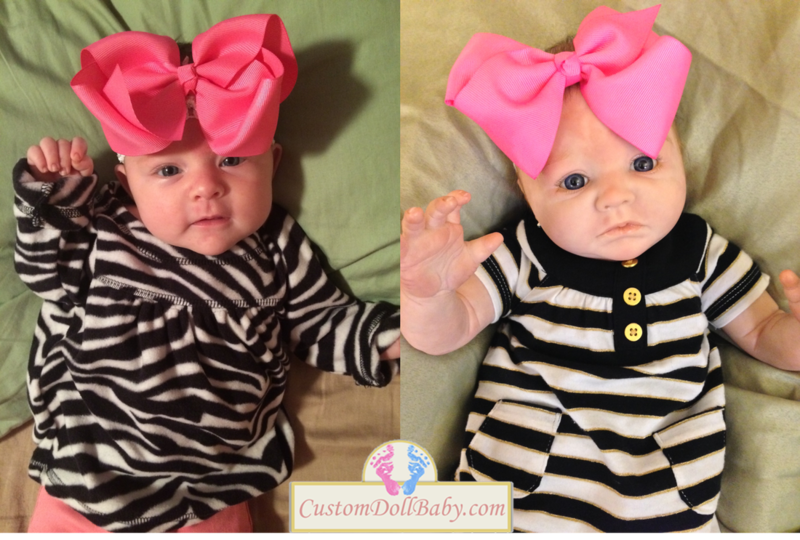 Portrait Dolls are custom doll babies inspired by actual real babies. 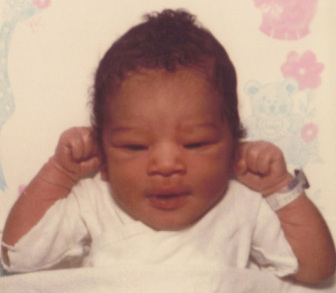 Send me a photo of your child, grandchild or anyone who was a special baby in your life. 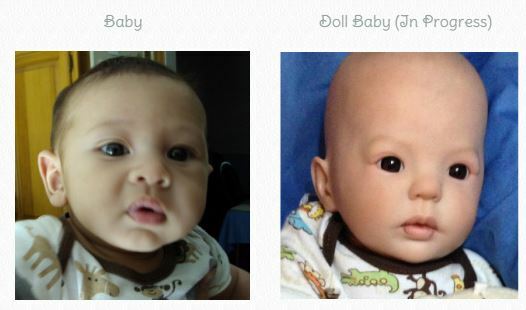 I will find the doll kit, hair color, eye color and skin color that is the closest match to your baby's picture. Submit the form below for an instant quote estimate! 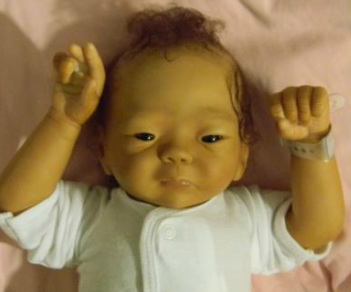 My Portrait Dolls are not custom sculpts based on the real baby. I find the closest facial features and expression match from among over 500 vinyl doll kits sculpted by world-renown doll artists. From there I hand-paint the baby's complexion and features to match the baby picture.